Today, City, County, and State leaders came together once again in the spirit of collaboration and hope, to discuss how we can better serve those experiencing homelessness in the State of Utah. One year ago, Mayor Ben McAdams and I presented a plan to the legislature to fundamentally alter the delivery of service to those most in need in the City, County and State. As part of this plan, Mayor McAdams and I proposed the construction of two new homeless resource centers in Salt Lake City, along with comprehensive housing and diversion efforts. Our goal has always been and continues to be, to compassionately move people from homelessness to housing to independence again. After discussion with the City Council and other stakeholders, the number of centers in Salt Lake City increased to four late last year, and the City fulfilled its obligation of selecting sites in the City. Today, in an effort to address concerns from the State, County, and City; including my concern that Salt Lake City not be the primary location for homeless services, but a strong partner we are releasing a new proposal on the location and size of new resource centers. Under this proposal, Salt Lake City is now committing to building two new resource centers capped at 200 beds each: one serving single women and one serving single men and women. This system will keep in mind how to serve special populations within these groups. Salt Lake County has committed to also siting a location for a new resource center outside of Salt Lake City by April. This additional center will be capped at 300 and will serve single men. Please keep in mind that Midvale, Ogden and St. George all have resource centers and discussions are still active on the reopening of the VOA site in Murray. This proposal also supports alternatives to shelter such as diversion, affordable housing, and unique opportunities like the County’s Pay-for-Success program. With these changes, it is most appropriate that the previously determined sites at High Avenue and 700 South in Salt Lake City move forward for construction. I want to stress, that while this is a change in locations, the principles behind these resource centers remain the same. These centers are spaces of hope, being built to help those most in need access treatment and resources to put them on a path to independence and a life reinvented. What also remains the same is the unprecedented cooperation and dedication of City, County, and State leaders to address this issue. The County’s commitment to siting and building a new resource center, joining Salt Lake City, Murray, and Midvale in this effort is to be applauded. The determination of State leaders to provide the necessary funding to make these plans a reality is also a sign of true commitment for change. No one involved will say this process has gone as expected. This hasn’t been an easy process, because this isn’t an easy problem to solve. We are working everyday to create a successful path forward in helping those most in need, while trying to deal with the crisis we are currently facing. We are balancing homeless services, crime prevention, the drug trade, neighborhood preservation, funding, and much more. But, we are all still at the table, committed to moving forward. My goal since I took office has been to move this process forward in order to end the suffering of people, and to create opportunity forever changing the lives of those we serve and the current dynamics in the Capital City. I believe in the County’s Collective Impact Model of service. I am grateful to our State partners for their willingness to fund these efforts. And most importantly, I am amazed at the selfless dedication demonstrated by service providers every day. Today, we are one step further on our journey in creating spaces of hope for people in need in our State. Thank you for your support of this endeavor. The residents of Salt Lake City have always been, and continue to be an example of compassion for all to follow. The SHCC is committed to helping our neighbors participate in all public processes with our governing entities. We also feel that an important part of that participation is having access to accurate information. Join us January 4, 2017 for our regular meeting at Sprague Library. Meetings run from 7:00 – 9:00 p.m.. The agenda has not been set yet and there will be a few other items on the agenda as we nail down what time representatives from the city will be able to get to our meeting. *Note: Central City Community Council also has a meeting that night and a homeless resource center in their boundaries. 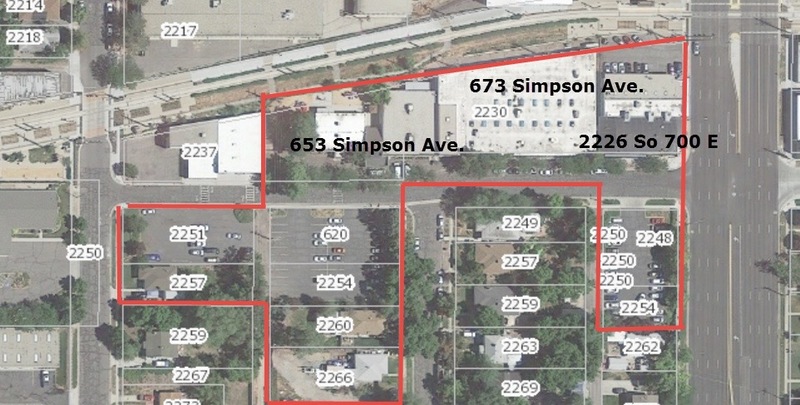 As we navigate this complex issue of state/county/city plans for a homeless resource center located at 653 E Simpson Ave we find there are many questions and a lot of rumors. Below we are providing information that is coming directly from the city. The Mayor’s office and Salt Lake City Council are putting out information to answer many frequently asked questions and we are passing along that information. You can get information from SLC Mayor’s website. The SLC City Council also has put together the following information. The administration of the homeless resource centers will be driven by Salt Lake County. Mayor McAdams convened a Collective Impact Steering Committee in early 2015. This committee has made recommendations that are driving the model for the new homeless resource centers. If you are unable to attend the SHCC January 4, 2017 meeting, but you want your comments forwarded to the city please fill out the form below. We will make sure the city and city council see it.